This repeat order makes Egypt the biggest Airbus Defence & Security C295 customer. Egypt has ordered eight more Airbus C295 transporters in a deal which will take its fleet to 20, thus making it the biggest customer for the market-leading tactical airlifter. The new batch of aircraft will be delivered to the Egyptian Air Force by Airbus Defence and Space beginning next year and will follow the 12 aircraft previously ordered, of which six are already in service. The contract also includes a service support package for spares, training, and maintenance of the fleet. The Egyptian Air Force selected the C295 because of its proven versatility, robustness and efficiency for daily transport missions combined with the ease of maintenance and low cost of operations particularly in the “hot and high” and dusty conditions found in the region. In Egyptian service, the C295 will be used for military and humanitarian missions such as the transport of civilian and military personnel as well as support to populations in remote areas or in emergency situations. 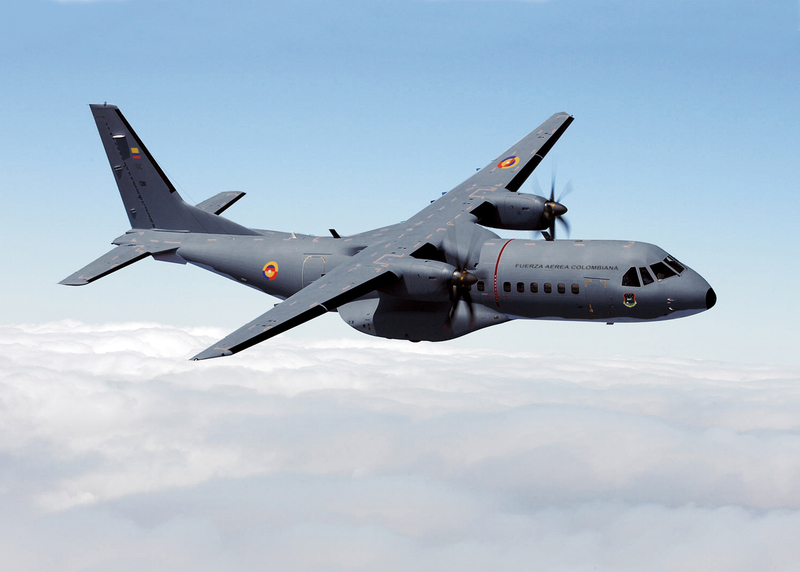 "We greatly appreciate the Egyptian Air Force’s confidence in our products based on their successful experience with the C295 in-service to date”, said Antonio Rodríguez Barberán, Head of Commercial for Military Aircraft. More than 150 C295s have now been ordered by 19 countries. The New-Generation C295 is the ideal aircraft for defence and civic missions to the benefit of society, such as humanitarian actions, homeland security, and environmental surveillance. Thanks to its robustness and reliability, simple systems, and optimal cabin, this medium sized tactical airlifter provides wide versatility and flexibility, necessary for personnel, troop and bulky/palletized cargo transportation, casualty evacuation, communication and logistic duties, and air-dropping. Its flexible design, long endurance and modern systems have made it an outstanding platform for a wide range of ISR roles including Anti-Submarine and Ship Warfare, Airborne Early Warning, and Maritime Surveillance. The C295 is part of Airbus Military’s Family of Light and Medium Airlifters, which also includes the smaller NC212i and CN235 platforms. In the fourth quarter of 2014 Airbus Military will introduce the C295W, featuring as standard winglets and higher engine power ratings, giving increased performance in all flight phases and lower fuel burn.